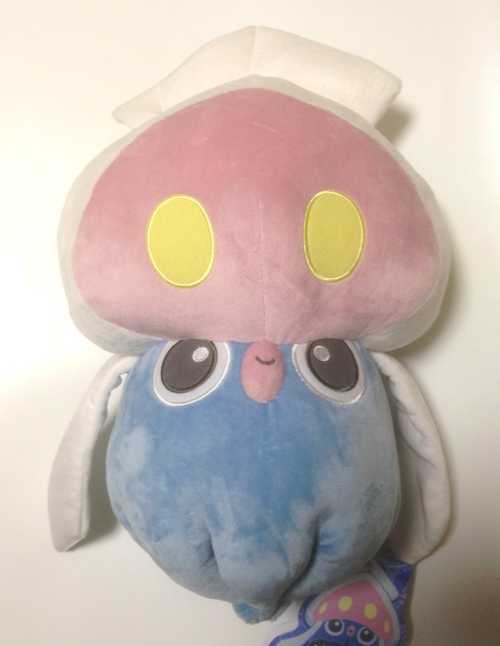 As most of you know by now, the Pokemon Centers in Japan have a new campaign that is dedicated solely to the adorable squid Pokemon, Inkay. 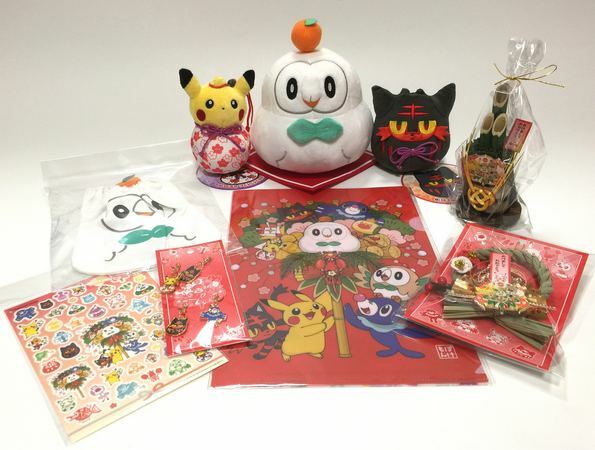 On January, 18, 2014, the Pokemon Centers in Japan released a bunch of new merchandise solely featuring Inkay. Lets take a look at some of the items that were available. First, a personal favorite of mine, the large lifesize Inkay plush toy. This plush toy is awesome. It measures about 15″ or 38cm tall. It has very soft fur and very nice, detailed stitching. This was probably the most popular item from this campaign. It seems almost everyone had one in their basket at the Pokemon Center. 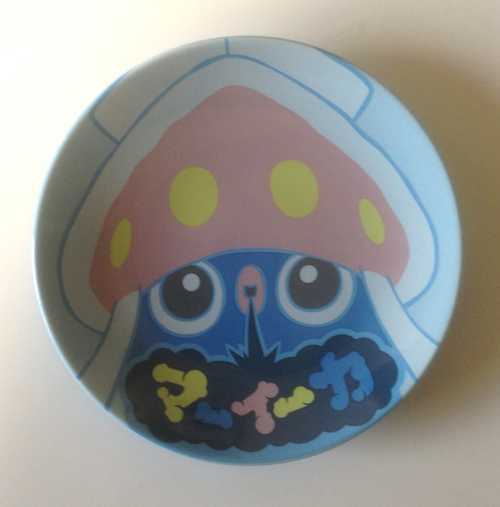 The next item I would like to introduce is the Inkay ceramic plate. This is a set of 2 gorgeous ceramic plates. It is very similar to the Christmas plates that come out every year, but you get two plates in this set, one big and one small. The glaze on the plate shines. They are great to use, or display on your shelf. Along with the ceramic plate, there was also a ceramic cup and bowl. There was also several keychains, charms and straps including a rubber keychain, a plush keychain where the chain can be reversed so that Inkay is upside down, and a set of two charms. One of the charms features Inkay right-side up and the other is upside-down. For every day use, there was an iPhone 5 soft cover that can be used on either your iPhone 5 or iPhone 5s. It protects your iPhone from bumping around and getting damaged. I have one, they work great!!! There is a plush Inkay pass case which can be used when you ride the train or bus. Just put your magnetic train or bus card in the clear slot on the bak of the pass case and when you get on the train or bus, just wave Inkay over the sensor. Very cool. And of course, there is a plush coin purse for all the female Inkay fans. For those of you who are students, you might like some of the school supplies that came out. There was a file folder to store your school papers in, a ball pen, mechanical pencil, and a spiral notebook. For more pictures and descriptions of the Inkay Campaign items, be sure to visit Pokevault.com. 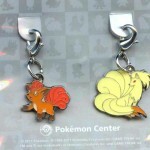 The Pokemon Centers in Japan have just released 4 new sets of metal charms. Keldeo normal and resolution formes, Meloetta Aria and Pirouette formes, Black Kyurem normal and overdrive forme and White Kyurem normal and overdrive forms. 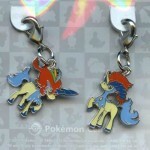 These metal charms are all about 1″ or 2.5cm tall. Made of metal and very detailed. 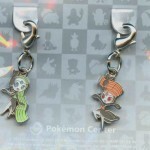 They are additions to the existing 2011-2012 set of all 646 Pokemon character charms. Just released on July 7th here in Japan. They are sure to be a big hit! 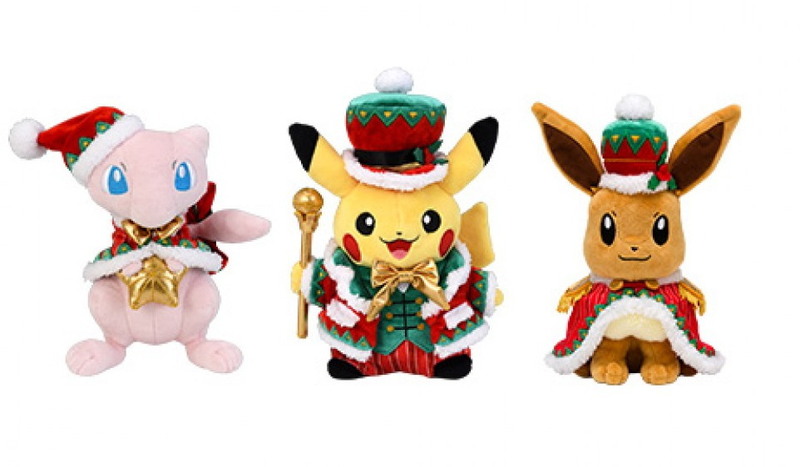 They were only sold at the Pokemon Centers in Japan and not sold in any stores or sold outside of Japan. They were made in very limited quantity and will only be sold for a very short time. The metal charms are extremely popular in Japan and all over the world. They create mad frenzies everytime they go on sale. Each charm comes with a metal clip that can clip on to your keychain, bag, purse, or just about anywhere that you would like to clip it on to. 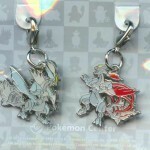 I have even seen some very cool necklaces made from these charms. 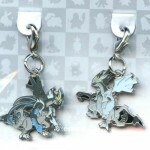 For all your other Pokemon needs, dont forget to check out Pokevault. 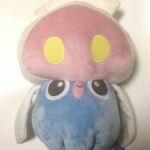 They have thousands of rare Pokemon items including plush toys, Pokedolls, charms, cards, deck boxes, dice boxes, card sleeves, playmats, keychains, straps, figures and just about anything you can think of that is Pokemon related. 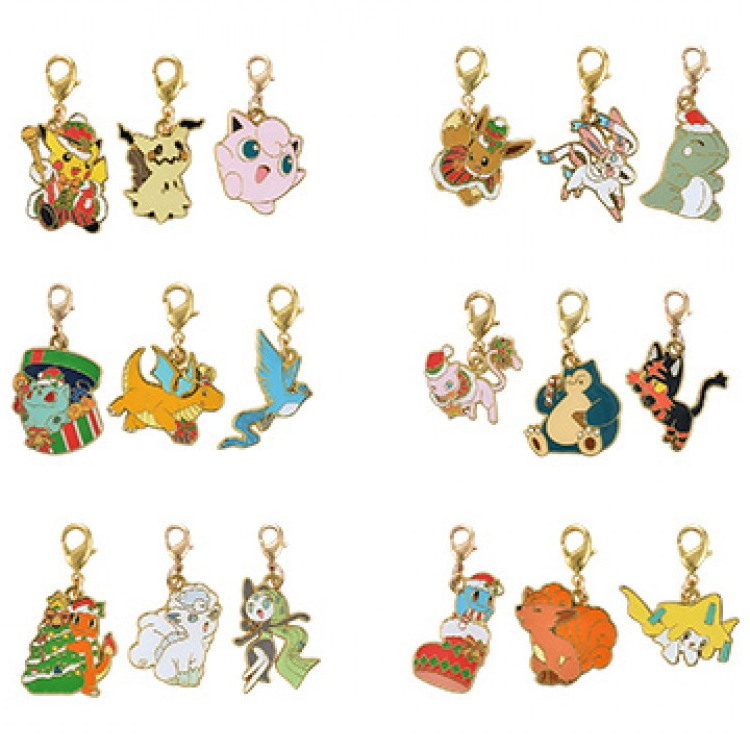 On December 26, 2011, the Pokemon Centers in Japan released a total of 78 different sets of charms. 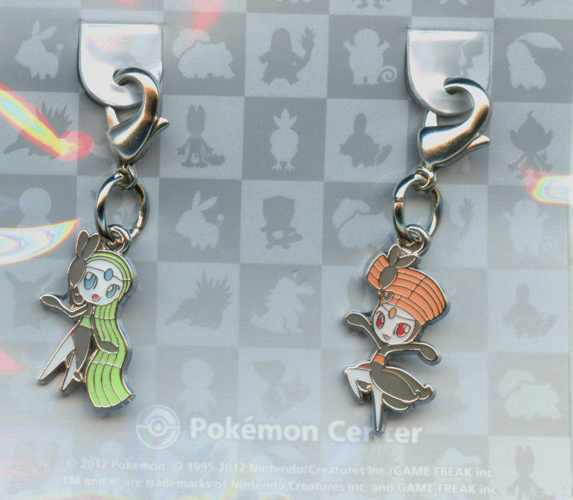 These Pokemon charms were released in sets of 1 charm, 2 charms, 3 charms, 4 charms and 8 charms. 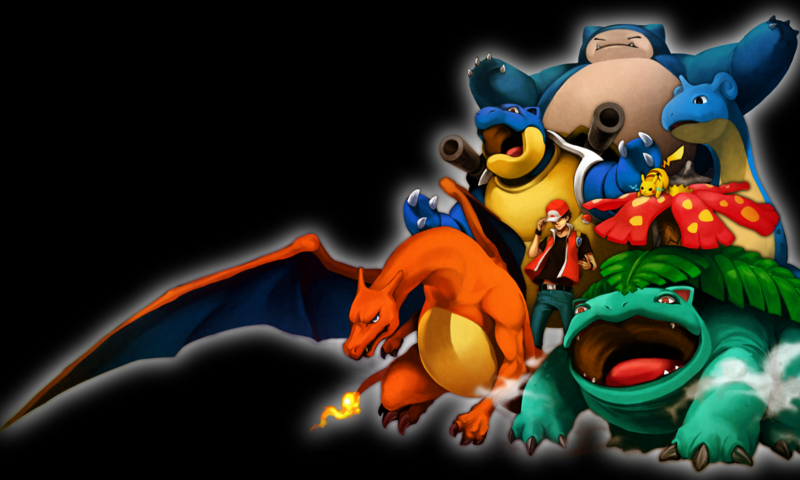 They mostly consisted of the Kanto Region Pokemon from Generation I and related evolutions. The Pokemon Centers are going to make an unprecedented all 646 Pokemon characters. They will be produced in 3 waves. The first wave was December 26th, the second wave January 14th and the final wave is scheduled for February 14, 2012. Each charm is made of metal and has a clasp so that you can clip it on to your bag, keychain, luggage, or just about anywhere. 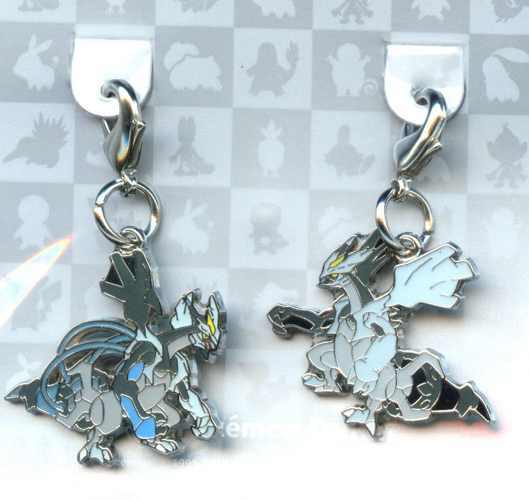 Some of the same charms were released back in 2009, but alot of the designs of the characters are new. Some of these charms, like the Eevee evolution line, sold out in less than 5 minutes. Others like Growlithe, Nintales, Mew and a few others sold out within an hour. Most of these charms have now already sold out as the date for wave #2 approaches. 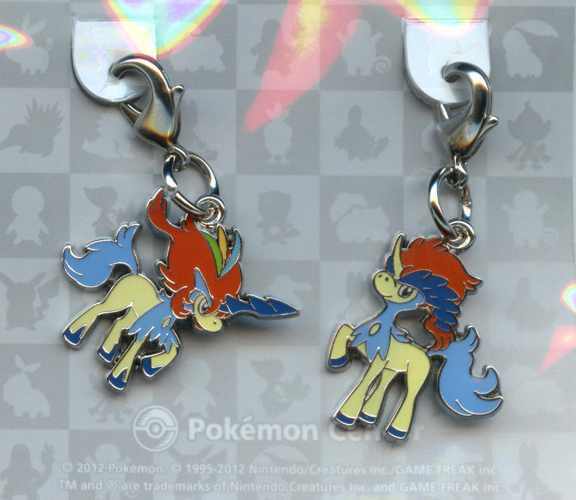 For those of you who wish to buy Pokemon charms, they are getting very scarce and I suggest getting them soon before they become very difficult to get and very expensive. 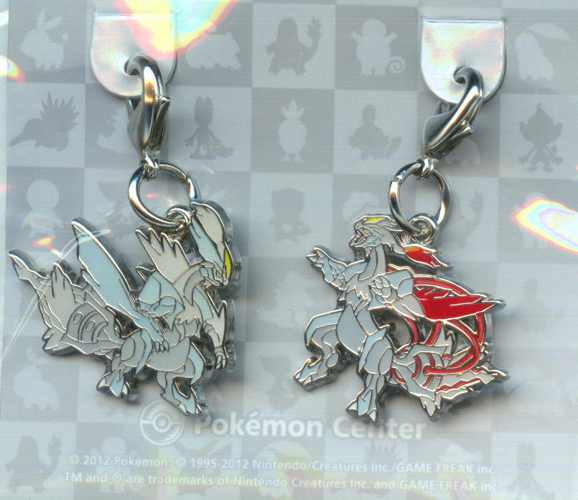 Stay tuned for our next article that will feature wave #2 of Pokemon charms. Most of them have not been made before, so they are sure to be very popular.